I was more surprised by how layered in nature Chicago is. Streets above streets, bridges across rivers and subways that tunnel underground as well as elevate themselves along the central section known as the ‘Loop’. It might have been easy to forget this multilayering of transportation modes if it wasn’t for the way roads flexed and bounced when heavy traffic passed over them, or how the elevated stations swayed slightly in the wind. More noticeable was unpleasant smell that followed you around (perhaps unsurprising given the name Chicago can actually be translated to mean ‘striped skunk’). 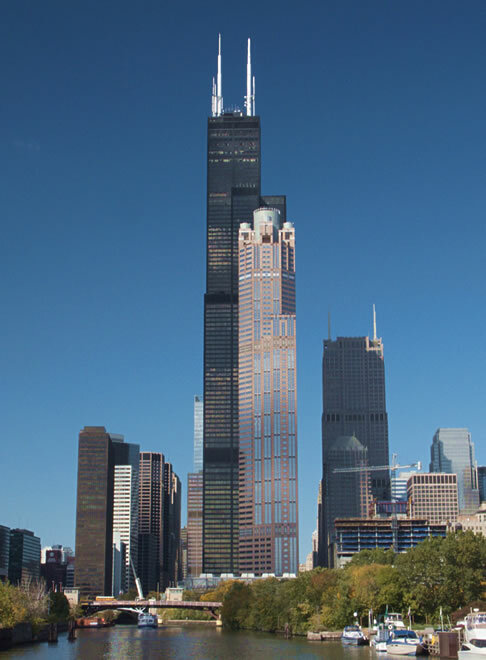 Much of this smell can be attributed to the Chicago River, which was reversed so that sewage would flow down stream rather than out to Lake Michigan (from where the city’s drinking water is sourced). Whilst the river has a beautiful blue tint, it is actually classed as ‘Polluted’ by the EPA—only upgraded from a ‘Toxic’ classification a few years ago. The highlight of my time, was taking an Architecture Boat Tour, given by the Chicago Architecture Foundation. I noticed the strong architectural style of the city when I was here in March, but I must admit until this 90 minute tour along the river, I was a little naive as to the many celebrated architects and companies that worked on the buildings, as well as the shear breadth of styles used. From Art Deco warehouses of former mail order companies, to modernist skyscrapers of large American corporations (particularly those of Mies van der Rohe and his contemporaries), each building has it’s own unique charm, and I would be hard pressed to pick a favourite. ‘Cloud Gate’ sculpture in Millennium Park. 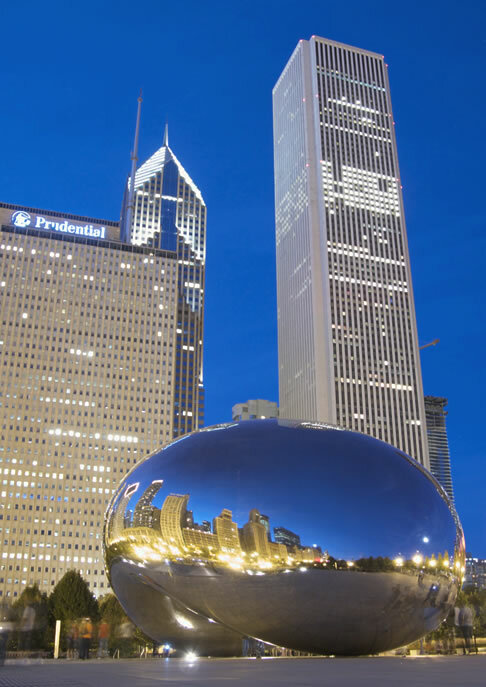 Newer landmarks have been added more recently, notably around Millennium Park, home to the fun and playful ‘Cloud Gate’ sculpture by British artist Anish Kapoor. Much like Seattle, I’m not sure one or two trips to Chicago is enough to get a real sense of the city and all it has to offer—I feel I’ve only just scratched the surface. I’ll probably wait a little while until I return again, but when I do, I know there will be plenty left to entertain me.